Every parent’s worst nightmare is the idea of harm coming to your child. 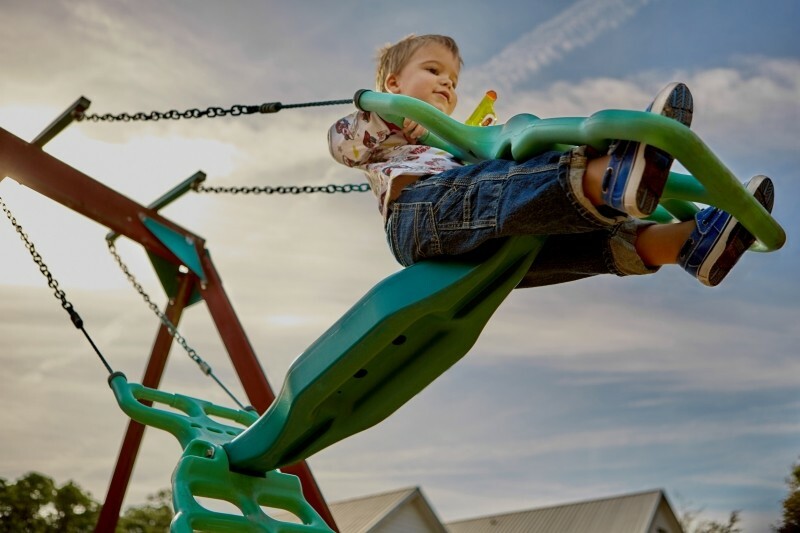 It’s especially disconcerting, then, to know park accidents and playground accidents are among the most common ways in which children are hurt in the United States. In fact, one study found that children are nine times more likely to incur an injury at school from playground equipment than from violence. Playgrounds should always have 12 inches worth of some kind of loose fill to absorb shocks from falls. This can include wood chips, pea gravel, shredded tires, double shredded bark mulch, fine gravel, sand or a soft rubberized polymer. Make sure that equipment does not have sharp points or edges, or hazardous protrusions. “S” hooks should always be closed off in order to prevent strangulation upon clothing becoming caught. Slides should always have a bar at the top that forces children to sit before sliding down it so they are less likely to fall off. Elevated surfaces, platforms and ramps should always have guardrails, and ideally walled railing so that it will protect children of all heights. Unfortunately, even with all the preparation, resources and helicopter parenting in the world, you can’t prevent every single possible accident from happening to your child. Risk and pain are simply a part of life. However, accidents due to improperly maintained, designed or supervised playgrounds do not have to be a part of life. If you believe that your child has been hurt due to a poorly designed or maintained playground, or due to inadequate supervision by a teacher or other supervising adult, you are legally entitled to seek reparations on behalf of your injured child. Should you find this to be the case, or should you have any concerns or questions whatsoever on the subject, please contact the legal experts at Evergreen Personal Injury Counsel. EPIC is well-equipped to assist you with any needs you might have related to park accidents or playground accidents, and can help to determine playground accident liability and seek justice for your child.